Previously run by another provider, Rascals have run this Carnmoney nursery since 2008. Very well known in the area for quality and flexibility, the team always go the extra mile to ensure your child feels totally at home. With a separate pre-school department housed in a separate building, this nursery fulfils the needs of every parent and child. The staff at Rascals have the experience and attention to detail that ensure your trust when leaving your child with us. 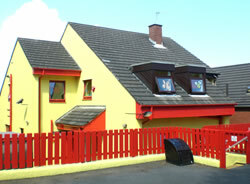 You should call us today to arrange a visit to see for yourself what a quality childcare setting looks like.